Hey Tulsa teachers, looking for a way to teach your students about recycling… and ways we can all protect Tulsa’s environment? Call us today and schedule a class visit with Mr. Murph this year! It’s the name we give our Material Recovery Facility (MRF) —where we recover and process over 200 tons of recyclables a day…valuable stuff like cardboard, aluminum, paper, plastic and even glass. 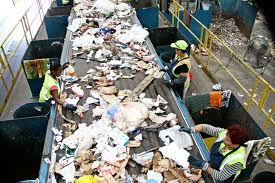 Mr. Murph was specifically designed to reclaim recyclables by sorting through the entire waste stream and reduce the impact of trash on the overall environment. Check out Mr. Murph! We think you’ll like him. We do! Recycling is an excellent way to teach students about conservation and the science behind saving our natural resources. At TRT, our goal is to build an awareness of the environment while educating Tulsa families about the positive actions we can take to become involved in our communities! What Does the Mr. Murph Field Trip include? A visit to TRT’s very own Mr. Murph (Material Recovery Facility). An opportunity to learn about the recycling process and how our garbage impacts Tulsa’s environment. Find out where the recyclables go and how they are used to make new products. Learning about the 3Rs (Reduce, Reuse, Recycle) and our responsibility for reducing waste in our city. Discover how Mr. Murph’s processing equipment separates mixed recyclables. 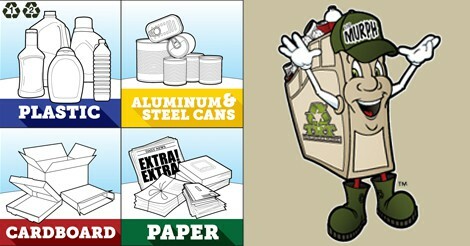 Learn what recyclables are accepted in a Mr. Murph recycling bin. Get more information about scheduling your free Mr. Murph Field Trip.